Festive party jewelry is great for that big event you're planning on looking extra glamorous for, but often seems too unapproachable for daytime. Leave it to Rosie Huntington-Whiteley to show us how to take statement evening jewelry and make it the perfect accessory for a daytime look. She pairs her sparkly add ons with a more subtle winter look: a black coat, gray sweater, and distressed jeans. Those glitzy drop earrings were just the touch this outfit needed to take the simple look to the next level. Keep scrolling to shop Rosie's sparkling daytime ensemble! 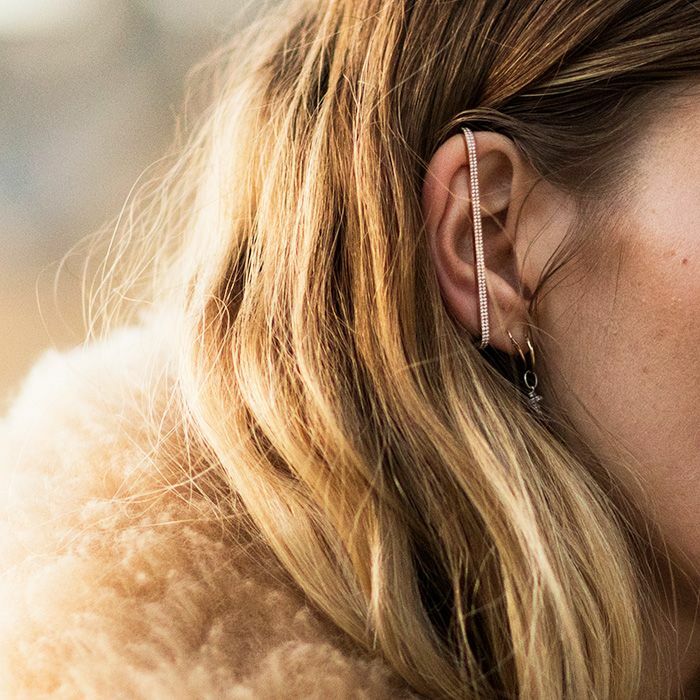 Would you try wearing your party earrings during the day? Be sure to let us know in the comments below!